Antivirus For Free Is Good Enough For You? So let's take a look at these answers and decide whether you need antivirus software or not. And then, let's move to a more important question: whether antivirus for free would be sufficient for you or do you need a paid antivirus? How Do You Use Your Computer? If you're someone who uses it very rashly just like the two-wheeler you ride on the streets, obviously it's going to be in a bad condition. This is bad. Because your computer by being in a bad condition becomes extremely vulnerable to various security threats out there. On the other hand, if you're someone who uses it with caution, exercising a lot of discretion, then your computer can be inherently safe against certain attacks, because of the fact it is in good condition. Do You Stay Online All The Time? The internet is the breeding place for all kinds of malware. Therefore the moment you connect to the internet, your computer falls enters the danger zone. Of course, the internet cannot be avoided altogether, (and we don't suggest that), but you can sure exercise discretion and avoid those places which are well-known for malware. Are You Extremely Tech-Savvy? Tech-savvy users who are good with computers definitely have an edge over others when it comes to handling security threats. This means they may survive without antivirus and other such security tools. So evaluate your situation based on this question. So what were your answers? How did you fair the questions? Whatever your answers were to the above questions, no computer can be foolproof against the security threats emerging from the cybersecurity threat landscape of today. Therefore PC users like you need antivirus. Now the question is: is antivirus for free enough for you (there are many free antivirus packages on the market) or should you go for paid products? Free Vs Paid Antivirus? Which Is Best? Again, the answer depends upon your behavior (both online and offline). Free antivirus does work but if you are using anything other than Comodo Free Antivirus, then you might be in danger. 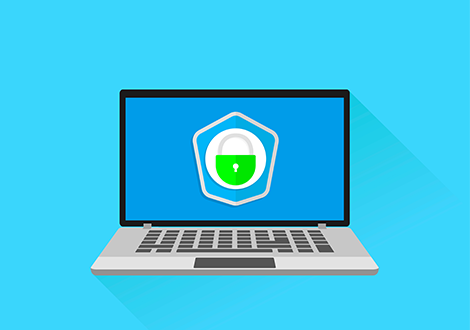 Because free antivirus offers only the bare minimum protection which is not always sufficient to combat the modern-day malware. Which means if you wish to combat today's Zero Day Threats, which are quite unpredictable, then you probably need a paid antivirus. Comodo Free Antivirus, which comes equipped with several impressive security features, is easily one of the best free antivirus packages available in the IT security market, which can protect PC users against not just different types of malware but can offer strong resistance against zero-day threats too based on the impressive cybersecurity threat intelligence it has gathered over the years. Default Deny Approach – technology unique to and developed by Comodo which ensures all files (be it malicious, good or bad) are denied entry until they prove themselves harmless. This is extremely useful considering most of the attacks of today which are proving extremely successful are zero-day (unpredictable) attacks. HIPS and Viruscope – efficient internal computer monitoring system to track suspicious activities and, if necessary, stop them. Tech-savvy PC users also have the option of not only detecting unauthorized actions but undoing them as well with the use of viruscope (another technology which is unique to Comodo). Cloud-Based Malware Analysis – for quick and efficient analysis of malware which paves way for quick malware verdict. And Much More – apart from this, there are several other technologies which come equipped with Comodo Free Antivirus that tackle malware effectively.